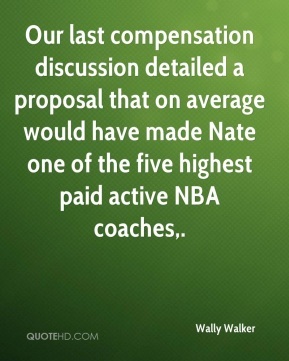 Our last compensation discussion detailed a proposal that on average would have made Nate one of the five highest paid active NBA coaches. 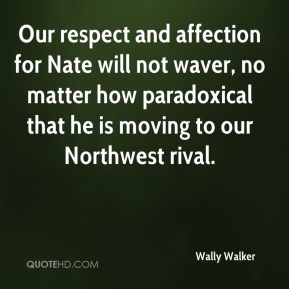 Our respect and affection for Nate will not waver, no matter how paradoxical that he is moving to our Northwest rival. The Sonics & Storm family, including our players, coaches, staff and owners, recognizes the importance of aiding the massive relief effort, ... We welcome the community in joining us to support this important cause, both now and into the future. Whether philosophically you believe in a public subsidization of an arena or a stadium, that's the reality. 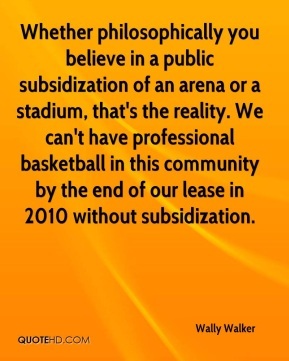 We can't have professional basketball in this community by the end of our lease in 2010 without subsidization.